Born in Sydney in 1920, Leo McKern was at first an engineering apprentice and then an artist before joining the Australian Army during World War II. In 1944 he made his stage debut in his home city but it was not until he moved to England after the war that his theatrical career took off. McKern landed the role of Forester in Love's Labours Lost at London's Old Vic in 1949. Despite his glass eye and strong Australian accent he became a regular performer both there and at the Shakespeare Memorial Theatre in Stratford. In 1952 he made his movie debut in Murder in the Cathedral. 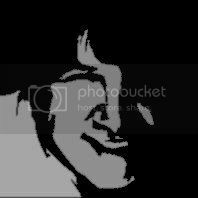 Other film roles followed and in 1965 he appeared in The Beatles' film Help! The following year he landed a role in A Man For All Seasons, the first of a number of celebrated roles that included Ryan's Daughter (1970) and The French Lieutenant's Woman (1981). Although he appeared alongside Patrick McGoohan in the cult series The Prisoner in the late 1960s and in Space: 1999 in 1975, it was not until 1977 that Leo McKern made his most indelible mark on television. In the minds of television audiences around the world Leo McKern will forever be associated with the role of the blustering, grumbling barrister Horace Rumpole in John Mortimer's Rumpole of the Bailey. As Rumpole, McKern became an international television star. Author Mortimer had created Rumpole with only one actor in mind although as time went on Mortimer had to continually persuade McKern back into the role as the actor found it more and more difficult to get through each performance. McKern was convinced that being short and stocky made him unattractive to audiences and suffered throughout his life from stage fright. Nevertheless, viewers tuned in in their millions to watch the antics of the wily barrister who indulged in unorthodox courtroom antics, before nipping into Pommeroy's wine bar, and then disappearing home to "She who must be obeyed". 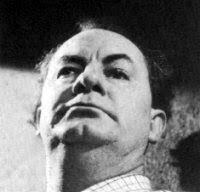 Author John Mortimer said of Leo McKern, "He was a wonderful actor who not only played the character but added to it, brightening it and bringing it fully to life. Geoffrey Robertson QC said, "His character was well-loved and showed a human side of the legal profession that is often missing in most television dramas. I doubt if anyone would be able to replace him."